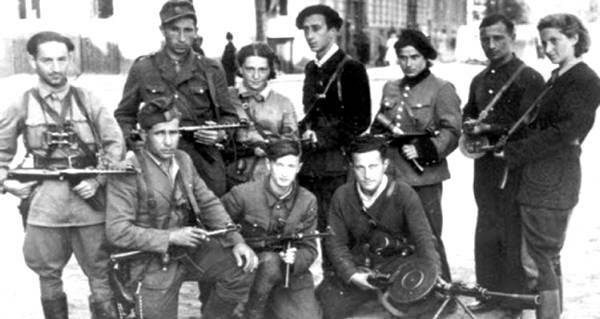 Led by Abba Kovner, the Nakam group of Jewish vigilantes hatched an audacious plan to kill 6 million Germans as revenge for the Holocaust. 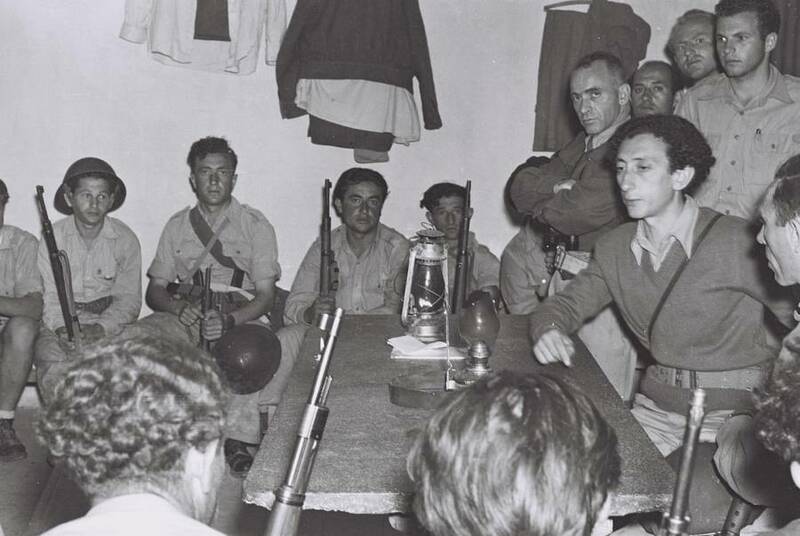 Wikimedia CommonsOne-time Nakam leader Abba Kovner with members of the Jewish paramilitary organization Haganah in southern Israel. 1948. For many Jews, the end of World War II was not the end of their war with Nazi Germany. Many felt that the upcoming trial of some prominent Nazis wasn’t enough to account for the crimes of the Holocaust. The Nuremberg trials could not possibly hold accountable all Germans complicit in the brutality of the Holocaust. Nor could the Allies’ makeshift POW camps contain them. Many Nazis were simply sent home. Soon, Jewish vigilante groups formed in order to enact their own brand of justice. Nazis were found, taken into the woods, and shot. Others were hanged in their garages or were found dead in roadside ditches from apparent hit-and-run accidents. But for one man named Abba Kovner, this wasn’t enough. He believed in an Old Testament-style of justice. Just as the Nazis had killed 6 million Jews, then so too should 6 million Germans suffer the same fate. An eye for an eye. So it was that Kovner formed a militia known as Nakam (or Nokmim, often translated as “Avengers”). Nakam’s idea, simply known as Plan A, was to poison the water supply of five German cities: Nuremberg, Weimar, Hamburg, Frankfurt, and Munich. The fallback was Plan B, which was a far less audacious plan to specifically poison Nazi prisoners of war. By mid-1945, Kovner had about 50 recruits to help implement Plan A. Disguised as engineers and workers, the Nakam Avengers infiltrated the waterworks of each target city. There, they studied how the water supply was pumped into German homes. In September 1945, Abba Kovner sailed to Palestine to obtain poison, leaving his future wife, Vitka Kempner, in charge of the Nakam Avengers. Kovner also wanted the blessing of Palestine’s Jewish leadership. The most receptive was Chaim Weizmann, the President of the World Zionist Organization. Weizmann, a renowned chemist, was one of two future Israeli presidents Kovner would go through to get the poison. The second was Ephraim Katzir, who worked for Weizmann. At Weizmann’s behest, Katzir gave Kovner a poison that was lethal in milligrams. Weizmann had approved the use of poison for Nazi prisoners, but was apparently unaware of the plan to kill six million Germans. Under the new leadership of Joseph Harmatz, the new target was Stalag 13-D, an Allied POW camp in Nuremberg. There, the Nakam Avengers intended to kill 12,000 Nazi prisoners. Rather than poisoning the Nazis’ water supply, the Avengers targeted their bread rations. The Avengers had an inside man in the bakery that supplied Stalag 13-D with their daily bread. Soon a large quantity of arsenic was smuggled into Nuremberg and was stored beneath the bakery’s floorboards. In the early hours of April 13, 1946, 3,000 loaves were coated in a mixture of glue and arsenic. By the evening, thousands of former Nazis were hospitalized. The New York Times reported that 2,238 Nazis were sick. However, it’s not clear how many Nazis actually died or whether any died at all. Recently declassified documents state that not one person died, which is odd considering that the Nakam Avengers used enough arsenic to kill tens of thousands. However, the Nakam Avengers may have spread the poison too thin. Never again did Nakam attempt such a massive revenge operation, with many of its members instead focusing their efforts on the formation and defense of Israel, in which Abba Kovner played a large role. After this look at Nakam and Abba Kovner, see some of the most powerful Holocaust photos and World War 2 photos ever taken.